This is the final post in the NAS series for now. I’ll write up a wrap-up article in a week or two. I read about Ardbeg long before I had a chance to taste it. A distillery raised from the dead, so to speak, it had been shuttered for eight years in the 1980s. Production resumed slowly under a caretaker administration by Hiram Walker in the early 1990s. Glenmorangie bought it in ’97 and resurrected Ardbeg to full production. Blessed with great stocks of old whisky aging in the warehouse, they released notoriously good (and peaty) whiskies throughout the early 2000s. 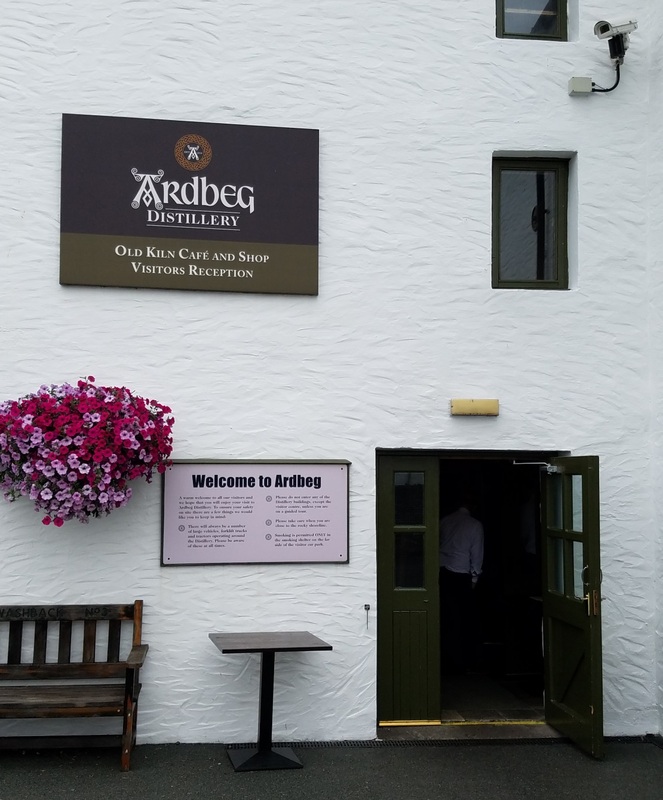 They presented Ardbeg in a craft style – no coloring, non-chill-filtered, higher ABV. 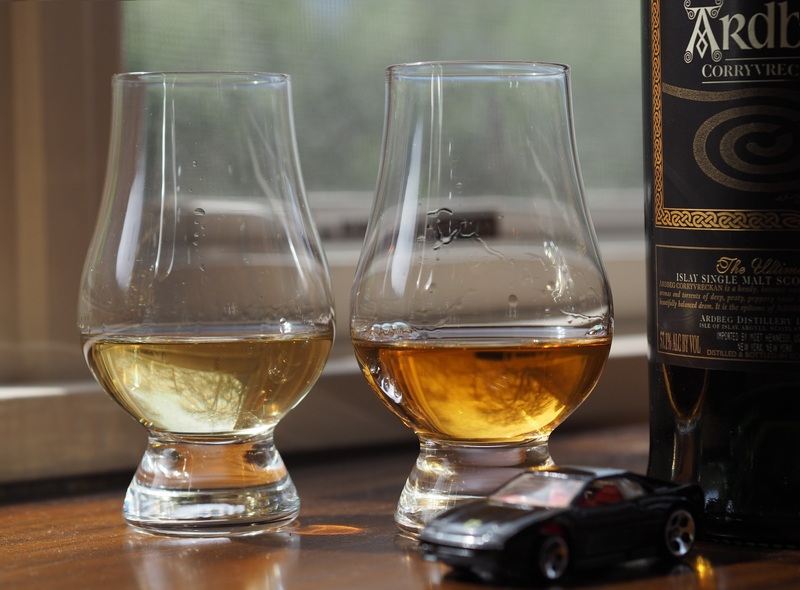 Their 10-year is released at 46%, and it is a damn good whisky, as I reviewed here. Despite relatively low production, about 1.25 million liters a year, they have a number of expressions. Nice boxes. Corryvrecken on the right. Click 2 zoom. 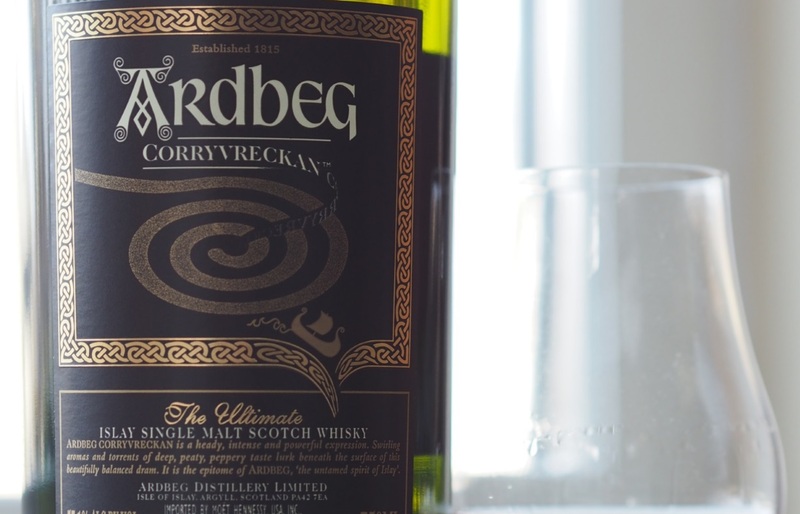 When I bought my first bottle of Ardbeg it came in a fancy presentation box with two tasters of premium expressions, including the Corryvrecken. My wife and I were impressed by the CorryVee. By this time, 2014, Ardbeg (via their purchase of Glenmorangie) had been for seven years in the hands of Louis Vuitton Moet-Henessey – LVMH. A massive international conglomerate of luxury products, LVMH brought a lot of money to Ardbeg. It shows in the packaging, such as that fancy display box. Where Glenfarclas is the smart, middle class girl in slacks and mary janes who gets ahead on wit and moxie, Ardbeg is like one of those billionaire kids who run their own clothing lines in their twenties – young, stupidly well funded, stylish, successful. Snotty, too. I had an obnoxious run-in with some corporate hack at their distillery store. More on that in a later post. Three years passed before I coughed up the change for a bottle of Corryvreckan (it ain’t cheap folks, over $90 here, and that for a NAS whisky). The gold script proclaims this “The ultimate Islay Single Malt Scotch Whisky.” The marketing boys come out of the gate swinging! Finer print (green on green, not so easy to read) describes this as “heady, intense and powerful.” Well, I can’t argue with that. Upon opening the the bottle and pouring a dram of Corryvrecken, my little writing nook filled with the most amazing aroma. It smells of the sea, of the beach after rain has put out a seaweed-fueled campfire. When I put my nose in the Glencairn glass and breathe deeply, I get an incredibly thick aroma which includes treacle, raspberries, and that dark fruit you get from single-source artisan chocolate. Even at 57.1% ABV, it does not sting the nose. The 10-y.o. on left, Corryvrecken on right. That gentleness on the nose is one hint there is some older whisky in this glass. The color, medium amber (compared to the light straw of Ardbeg 10) and fruitiness belies the use of some casks other than bourbon. Rumors on the Internet suggest French oak, and perhaps wine casks are used. Take a sip, and the result is predictably fiery, their well-advertised pepperiness lighting up the sides of the tongue, but even still, at full strength, the overall impression is full and smooth. Corryvrecken’s palate is packed with malt and caramel sweetness, and has a luxurious mouthfeel hinting of older malts. The liveliness on the back of the tongue and the fresh notes in the nose tells me there are younger barrels in the mix as well. As with the Bruichladdich, young whiskies can deliver aromatic, volatile notes you do not get in older whiskies – if it is produced with excellent ingredients and aged in barrels that have flavor to contribute. Clearly, Ardbeg have lavished this malt with the best of both. You might ask Santa to bring you one. Add a little water and the taste opens up – when the tongue is not challenged by so much alcohol, the maltiness becomes more prominent and the peppery spiciness a side note rather than the focus. With some water, this single malt loses some of the unctuousness of the straight dram, and too much water will reduce the midrange punch. Interesting note, for me, a palate-clearing sip of water afterwards brought out a strong taste of fortified wine, sweeter than the port-finished expressions I have tried, so I’ll guess sherry. Fortunately, waiting a week or two restores the delight in our old standards, and I’ll still reach for Laphroaig’s or Ardbeg’s 10 when I have a yearning for a bonfire in my mouth. Or if someone needs chasing out of the room. But what of this monster, this self-proclaimed ultimate Islay single malt? Nose: From two feet away I smell nectar, peatsmoke, the ocean. Up close – damp earthy peat; as much mineral as smoke, golden treacle (where the 10-year brings nectar), artisan chocolate fruitiness. Hints of pepper, though gentle on your nose. Palate: Probably the most impactful palate I have tried. Full strength, unctuous, heavy treacle laced with generous helpings of green apple and smoke. Black and white pepper lights up the edges of the tongue. With a very little water the palette is actually intensified as you are not so overwhelmed by the alcohol. Do not add too much as that ruins the impact and leaves the tannins unbalanced and bitter. Finish: Heavy iodine, smoke, the darkest of dark malts with enough tannin to keep that heavy treacle from cloying. I imagine eating a really good cigar might taste like this. Lingers on for a very long time. Bottom line. So what’s the bottom line? The Corryvrecken at $90 is a serious purchase, and given the strong phenolic character, not for everyone. I think most folks will save the Corryvrecken for special occasions – really special occasions, for this dram is not one for those times when you want to pamper yourself, say after a particularly hard week at work. This is a serious whisky expecting full engagement and dedication, and possibly resuscitation. 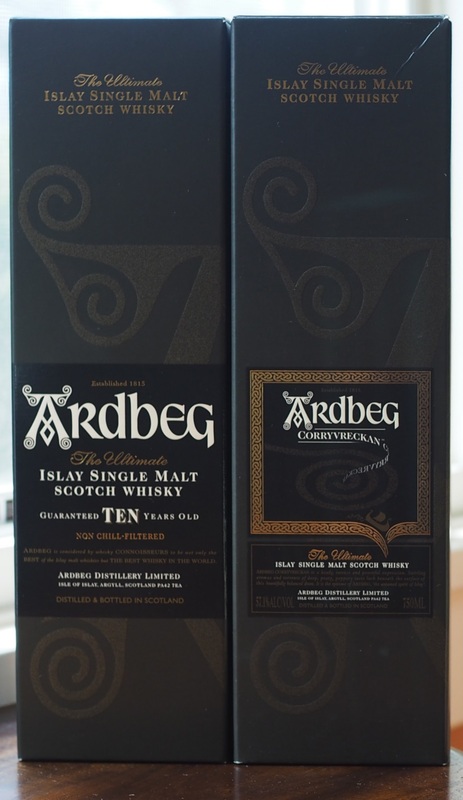 Ardbeg’s 10-year is light and refreshing in comparison, and that stuff positively repels some of my peat-shy whisky friends (they hurl the most amazing invective at that and Laphroaig. Philistines!). You will wake up with this whisky on your palate the next day. 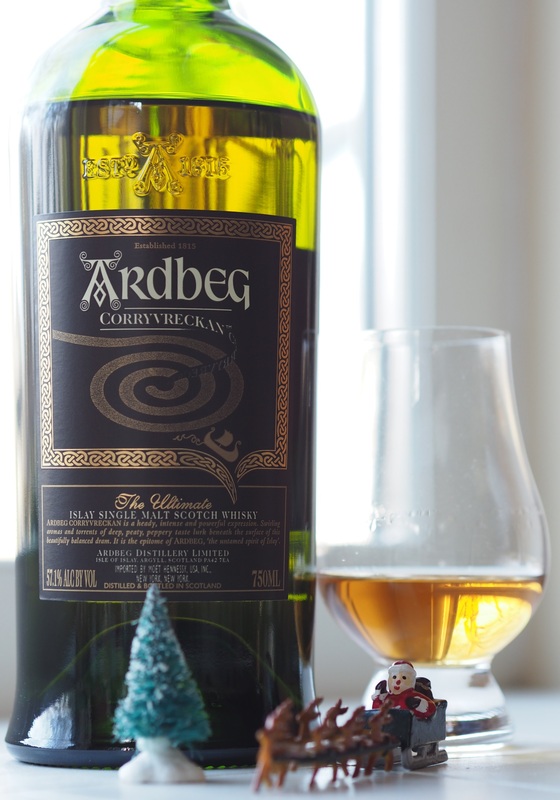 This entry was posted in Scotch-single malt, Whisky and tagged Ardbeg, Corryvrecken, Islay, Scotch, single malt, Whisky. Bookmark the permalink.